free use of our 2 canadian canoes! 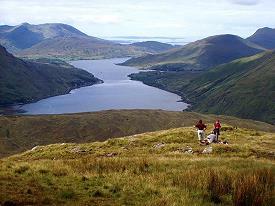 Killary Harbour and Clew Bay are favourite sailing locations! Jump into the clear waters of Killary harbour from the pier nearby! 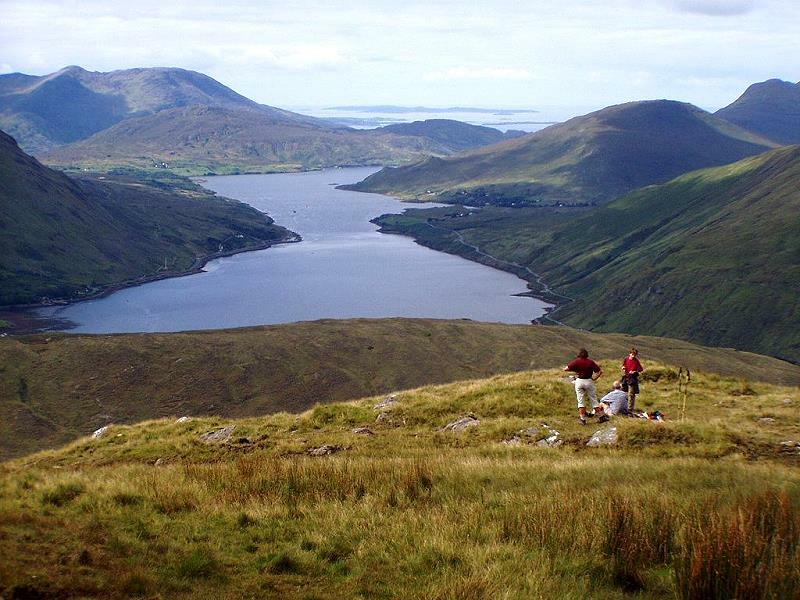 There really is an amazing array of things to do and see in the locality...avail of Delphis Adventure Centre, Spa, Restaurant or Salmon Fishery, Go boating on the Killary Fjord, try the many nearby Low or High Level walking and cycle routes, spend time pier fishing or jumping! Or accompany the Owners as they tend to the many animals and crops on their adjacent Organic Farm. 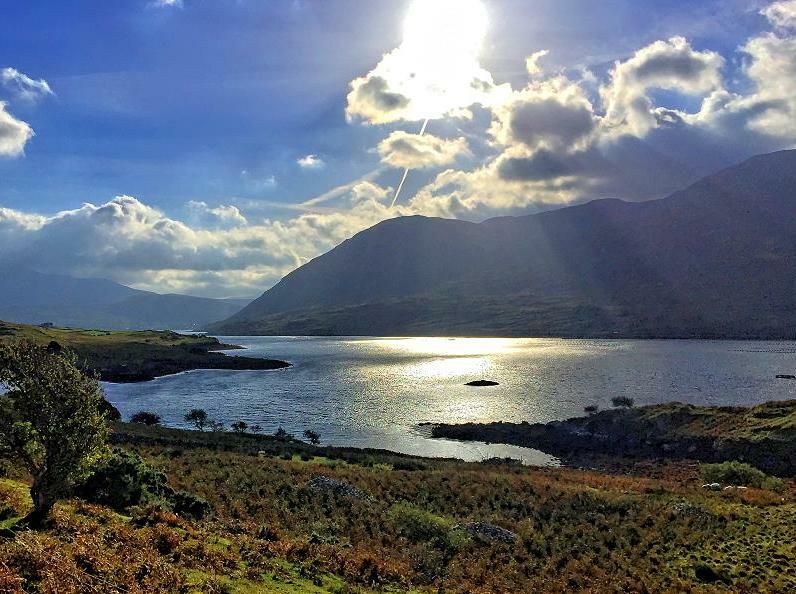 The sights of Connemara are only a short drive away to the South, as are Clew Bay, Westport and Ireland's holy mountain, Croagh Patrick to the North. 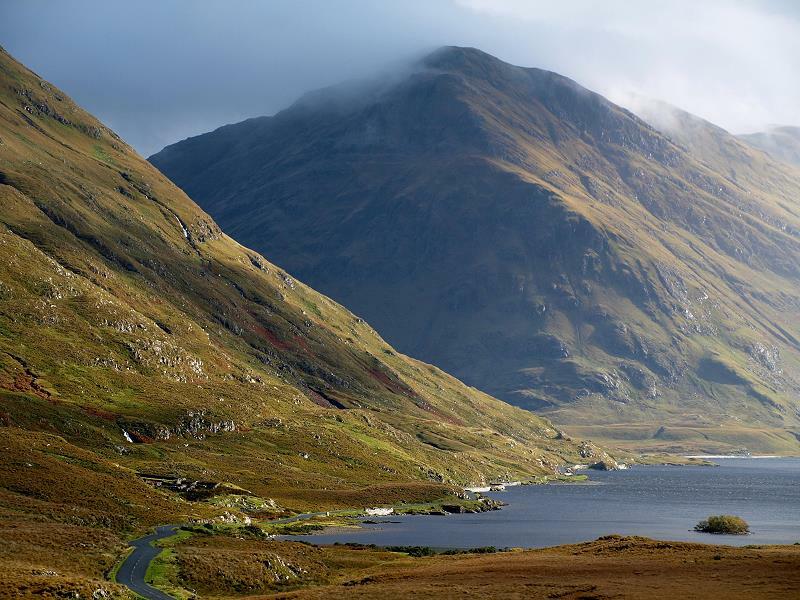 Mweelrea is the highest mountain in Connaught (814m), and a short distance to the nouth of the cottage. It presents magnificent scenery from it's summit, but is a mountain which must always be treated with respect. In poor visibility good navigational skills are essential.The major ascent starts from Doolough, 15 mins. north of our cottage. If you like it more relaxing you can take it leisurely on safe local walks from the house. Spend time fishing at Bundorragha river at the cottage or from the pier a couple of meters away. Read more about Angling in Connemara here. Connemara as well as the west coast of Co Mayo are home to some of Ireland’s finest beaches, with wide stretches of pure white sands lapped by a turquoise ocean. 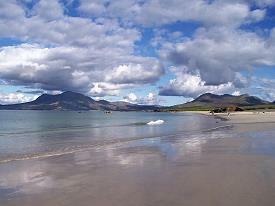 The nearest beaches are Tully Strand to the South and Silver Strand to the North of the cottage. These beaches are also great for surfing, surfers are welcome in our house! We have safe storage for your boards and other sports equipment.